Needless to say, the advancement in interior designing technology has given a better perspective to homeowners for remodeling the look of their houses and the kitchen area is no exception. Kitchen designs have also undergone a sea change and have kept up with the ongoing design revolution like any other room of the house. 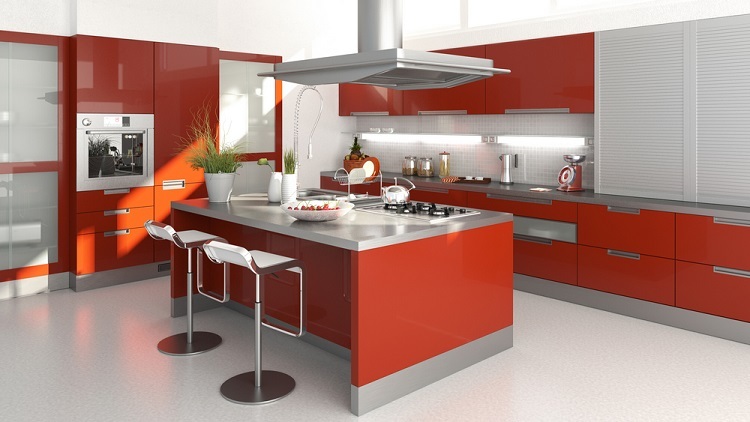 In fact, many designers solely specialize in offering kitchen designs. 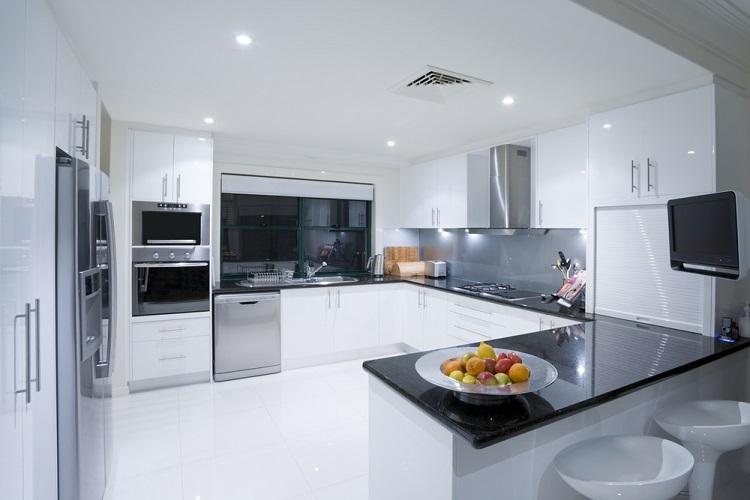 Designers have incorporated all latest available furnishing, flooring, and electrical fittings to enrich kitchen designs so much that you are left wondering which to choose and which to fall in love with. Be it lavishly spacious or a cramped space, designers always have innovative ideas in their store to offer for best utilization of the space. Renovation or new construction, you must ensure that the design does not become out of sync in a couple of years. It also needs to address lifestyle needs, convenience, and savings. Kitchen design is initially based on the availability of space, and since the kitchen spaces cannot be recreated, the concept is to revamp the same according to the available area. Modern Kitchen designs are not just about furnishings or painting alone. A vintage style kitchen is one of those places of the house where the food is cooked, and all the members of the family often get together there are speak to each other. Also, the introduction of a small dining space makes it even more interesting place to flock. Smart kitchens are also incorporating the convenience of Wi-Fi enabled appliances that can be controlled from another part of the house as well as timer appliances which begin warming up on their own to the preset temperature set by the home owner. The era of ornate and gaudy furnishings is no more in trend. Less clutter, smooth finish, cleaner look, lesser wood, the light color is the in thing. Kitchen blends seamlessly with the design of the other rooms and avoids any hint of disconnect. Tuxedo Designs: These designs use two contrasting colors across the kitchen, white and black, or olive green and peach with the lighter shade often employed to bring in more light and liveliness into the kitchen. Other lighter shades that are in vogue are soft blues, soft greens, mushroom, butter, and gray tones. 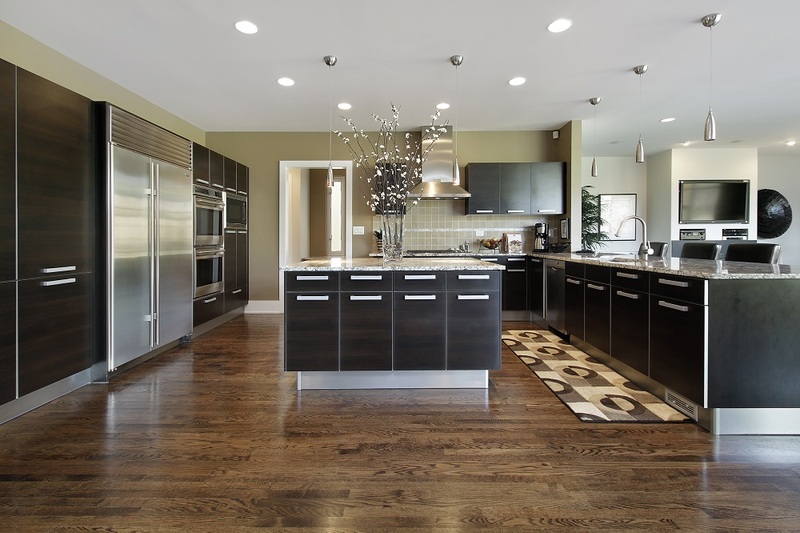 Metallic Cabinets: Tall cabinets made from light metallic sheets like aluminum or stainless steel as well as newer varieties of plywood that are slimmer and that comes with a variety of surface smoothness and color saves space and is easier to clean. Sliding doors and touch open doors are increasingly being used for its utility and in maximizing storage space. Countertops: Granites are being replaced by sleek quartz, glass, and even concrete floor surface decorations that gel with the aesthetics. Hidden Appliances: All efforts are being made to tuck in appliances into walls and cabinets so that their presence does not look obtrusive. Multi-purpose Kitchen Island that hides your appliance under a countertop is a rising trend in modern Kitchen designs. Kitchen Sink: Sinks and taps are now something to be flaunted and are made with materials such as composite granite, copper, recessed porcelain, stone, etc., and taps are no longer in silvers, but that of copper and brass. Colored Utensils: Copper, brass, terracotta are being increasingly used to change the looks from ceramics and stainless steel vessels. Other materials like wood and bamboo as well as handicrafts are being put up to give an eco-friendly feeling to the kitchen. Lighting: Clever lighting adds magic and life to kitchen and nothing more makes a kitchen livelier than LEDs. LED lights can throw colors of your choice. These lights generate less heat, and you do not have to worry about the discolored cabinet walls any more. They consume less power and lasts longer. They are small and can be hidden or made to reflex from concealed openings giving a mystical feeling to the kitchen. These lights can be focused on to desired spots in a manner that enhances overall aesthetics.